Korach was a relative of Aaron, Miriam, and Moses. He was a powerful man, and as a result was able to gather 250 reputable, credible people to confront Moses. They assembled and said to Moses, “Do you think you are holy? We are all holy, God is within all of us, why do you consider yourself above us? Is this nepotism?” God then told Moses, “Move and take the entire nation away from the 250 people that are with Korach or they will be swallowed up.” The earth then opened up and swallowed the 250 people, causing a plague and the deaths of many. Here the Zohar is teaching us and bringing home the fact that the one factor responsible for every form of death is evil eye. Cancer, heart attacks, accidents, and so forth are not the true causes. The first evil eye, strangely enough, occurs in Genesis. The Zohar explains that death came about because the snake was envious of Adam and jealous of the fact that he could not take Eve as his wife; remember this was a snake that could not only crawl, but could also stand up and speak. The Zohar goes on to say that the evil eye does not always mean we wish our enemy evil, which is only one aspect of it. The reason evil eye is so harsh—and I am not only talking about just for the perpetrator—is because it is very destructive. To wish evil is not the only procedure for evil, there are others. Whenever we think that someone has something he should not have, even without realizing it, this too is evil eye. The Zohar explains when someone steals, they at least benefit from it; when one steals a coat, for example, at least he or she gets a coat -never mind that they lose the coat later on. But when we have evil eye—and this could even be in a family, when one family member has what the other does not—what the individual has is zapped away from them. This is the power of evil eye. It is like a laser beam focusing in, having the strength to even cause a fire on that level. That is why it is so destructive, and a person can even die from it under various circumstances. What did Korach want? A little recognition? Under the circumstances, was that so bad? Here, there was an opening and someone was able to zap the other person. With a relative, does one want to see the other lose? Not necessarily, they just also want what their relative has! We cannot look around us and say, “I want or I lack something that someone else has.” It is only by comparison that we say “I don’t have this or I don’t have that.” It is so damaging, as the Zohar explains, that not only did Korach not get what he sought, but he also lost all that he had. Most misfortune, one way or another, has to do with our eye. We can at least receive immunization from it so we do not fall into that trap of the snake, which is what this portion is here to teach us. We do not want to look outside of ourselves, but rather need to prepare our vessel, through all our efforts, to receive. Preparing our vessel does not come simply; it is done solely by working through our difficulties and overcoming our challenges. We need to be aware that thinking our lack can be fulfilled by having what someone else has is Satan’s primary weapon. It is so subtle that it takes a long time to even develop the keenness to be aware of it. The thing you desire may not be part of your paradigm in life, and when something does not come to us, it is because we have not built up our vessel to receive it. If we are missing something that we want or lack it is not because someone else has taken it away. In fact, the Zohar says that Korach wanted the benefits that Moses had, even though Moses would have been willing to give them away. Read the full Zohar portion of Korach and connect to the energy of the week here. 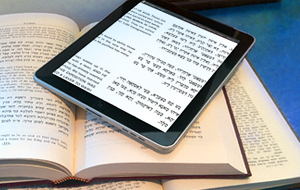 Kabbalist Rav Berg reveals the secrets of the Zohar portion of Tzav. Read the full article and connect to the energy of the week here. Kabbalist Rav Berg reveals the secrets of the Zohar portion of Vayikra. Read the full article and connect to the energy of the week here. Kabbalist Rav Berg reveals the secrets of the Zohar portion of Terumah. Read the full article and connect to the energy of the week here.